Preheat oven to 160°C/325°F. Cut butter into small cubes and mix with confectioner's sugar, maple syrup, salt and vanilla extract with an electric beater until smooth. Slowly add the flour and continue to mix. Crush pecans and combine thoroughly with the mixture. Save some if you would like to press them into the shortbread. If the dough is too sticky to work with, freeze it briefly for approx. 6 – 8 min. Form a log and cut dough into desired shape, then place the shortbread on a lined baking tray. Bake at 160°C/325°F for approx. 12 min. Rotate the sheet and bake for another 10 – 13 min. 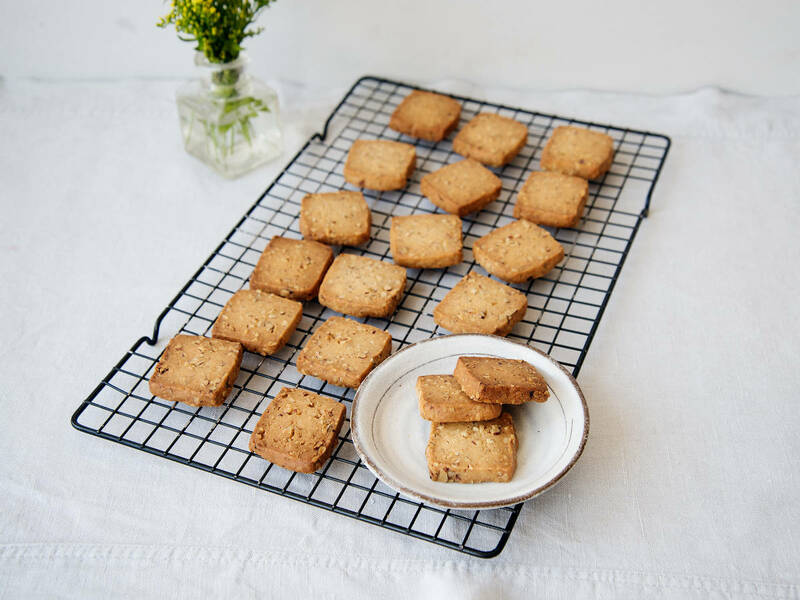 Take the shortbread out, let cool, and enjoy! Want to share your recipe with our awesome community? Each week, we'll be choosing your best recipes to test cook, photograph, and publish on Kitchen Stories for the world to see! Simply email us at community@kitchenstories.io and send us your recipe.